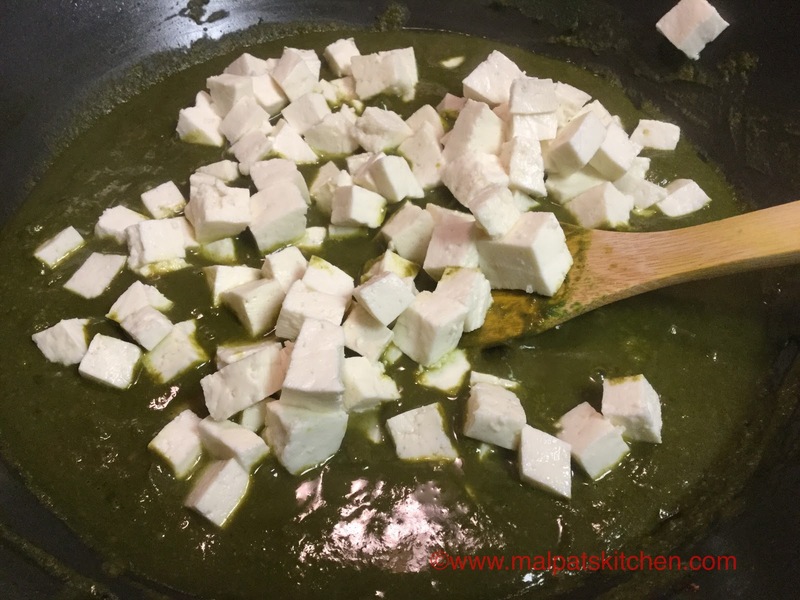 We can definitely say, Palak and Paneer are made for each other, and the highly nutritious vibrant colored palak is combined with the white, soft chunks of paneer, and it is a real punjabi delicacy. 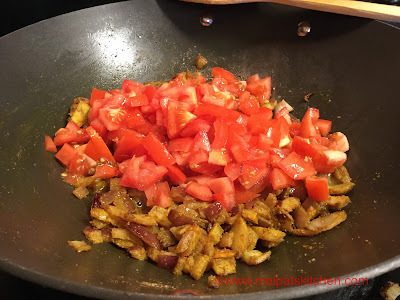 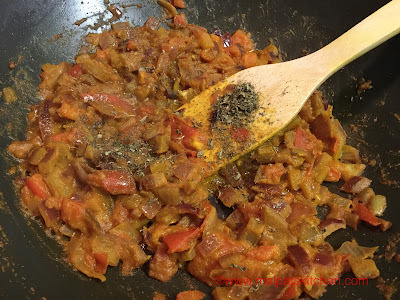 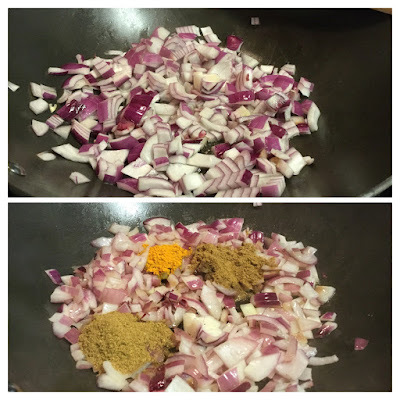 This is my daughter's recipe, and I am so proud to share it with you all. 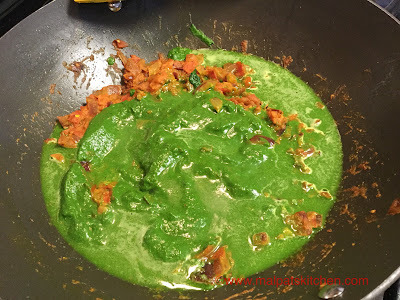 Spinach leaves sauteed in 1/2 tsp oil, with some water sprinkled, till they wilt, then let aside to cool down completely, loaded into the blender jar with green chillies, then ground to a fine puree. Paneer cubed, and dropped into boiling water, let to soak for 1/2 hour, this way, the paneer cubes become very very soft. 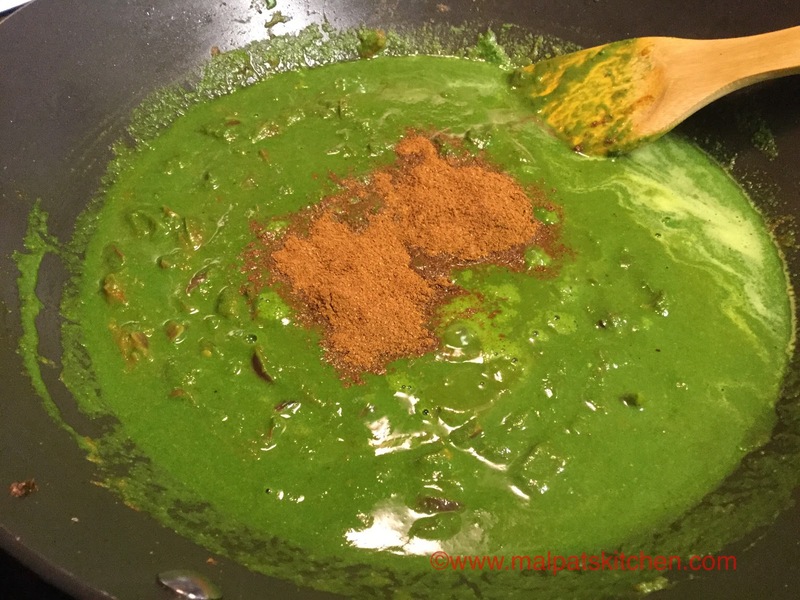 Flames on the lowest, add the spinach puree now and mix well. 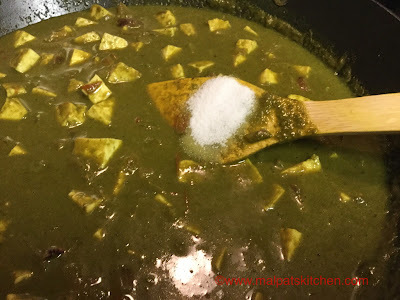 Milk and salt to taste added, and let to simmer for 5-10 minutes, till the spinach puree loses its raw smell and all the flavors seep into the gravy as well the paneer cubes. 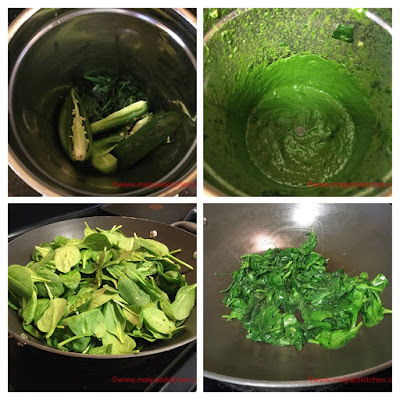 *Spinach leaves can be blanched or steamed too. But remember, always they have to cool down completely before blending, otherwise they will lose their beautiful green color. 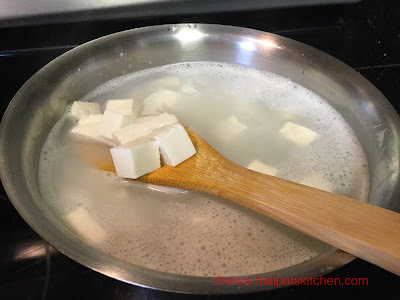 * Tofu pieces can be added instead of paneer, for those who are vegans or care for calories, and in that case, regular milk can be replaced by soy or almond milk. * Addition of ginger-garlic paste is optional. He just pan toasted some small brazilian bread cubes, then topped some sauteed spinach on top of them, embellished it by some mozzarella cheese, and topped it with some toasted chilli flakes, of course, sprinkled a pinch of salt...and I tell you, the taste was divine!! !...I was really amazed at the way he handled everything with great ease!!! The truth of the matter is, we as a whole need to appreciate are lives, and sustenance is a major piece of it. In this way, what's the trap, how would we eat to appreciate nourishment and eat for health and fitness.